Tags: Performance, Alexander technique, Feldenkrais, Somatics, Object relations, Movement, Move into Life. ​12 contemporary approaches to the human body that are being used by performers or in the context of performance training. The second in a series of books entitled: Ways of Being a Body. 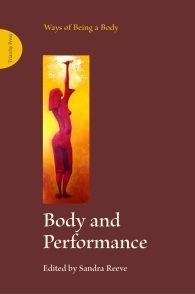 Following on from Sandra Reeve’s Nine Ways of Seeing a Body (which offered a historical perspective on different key approaches to the body over time), this new edited collection brings together a wide range of contemporary approaches to the body that are being used by performers or in the context of performance training. The intention is for students, dancers, performers, singers, musicians, directors and choreographers to locate their own preferred approach(es) to the body-in-performance amongst the lenses described here. The collection is also designed to facilitate further research in that direction as well as to signpost alternatives that might enrich their current vocabulary. All 12 approaches represent the praxis and research of their authors. The chapters reveal a wide variety of different interests but they share the common framework of the notion of ‘body as flux’, of ‘no fixed or determined sense of self’ and of supporting the performer’s being-becoming-being as a skilful creative entity, emphasising the intelligence of the body at work. researchers and academics in these fields.